In our latest interview, we talk with historian and Leger’s Head Battlefield Guide, Paul Reed to learn a little bit more about Berlin, its history, what he loves about Germany’s capital as well as how much this city has changed down the years. As a battlefield guide and military historian, you must have visited Germany’s capital on numerous occasions down the years. 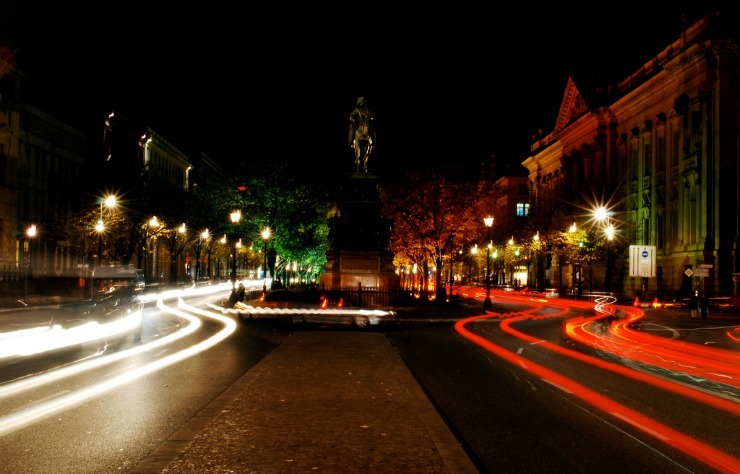 When was the first time you visited Berlin and what most intrigued you about this city? I first visited Berlin in the late 1980s, during the Cold War. Berlin was a very different city then and my memory of it is as a ‘dark’ place if that makes sense? Watching Wim Wenders’ ‘Wings of Desire’ always takes me back to that darkness. It wasn’t a happy place either side of the checkpoints. There was tension at the Wall, in some respects what was then the front line of the Cold War, and I remember seeing the abandoned buildings close to the death strip wondering what would ever happen to them. I didn’t go back to Berlin for many years after that and then found a city transformed. For me it is, and will always be, Europe’s best capital city to visit. I instantly feel at home in Berlin: the people are friendly, the city is a safe one to visit and travel around, but more than anything as a military historian my whole career criss-crosses through Berlin. I can stand on its streets and travel through time from Old Fritz to Napoloeon to the Kaisers and Bismarck, and end with Hitler and the Nazis. There is so much to discover, so much to see; Berlin is a city that speaks to us all; we just have to listen. We recently marked the 71st anniversary of the liberation of Auschwitz in what has now become known as Holocaust Memorial Day. How important is it to not shy away from such topics, to continue to discuss and remember these events and examine the period of the Third Reich to help us learn from the lessons of the past? 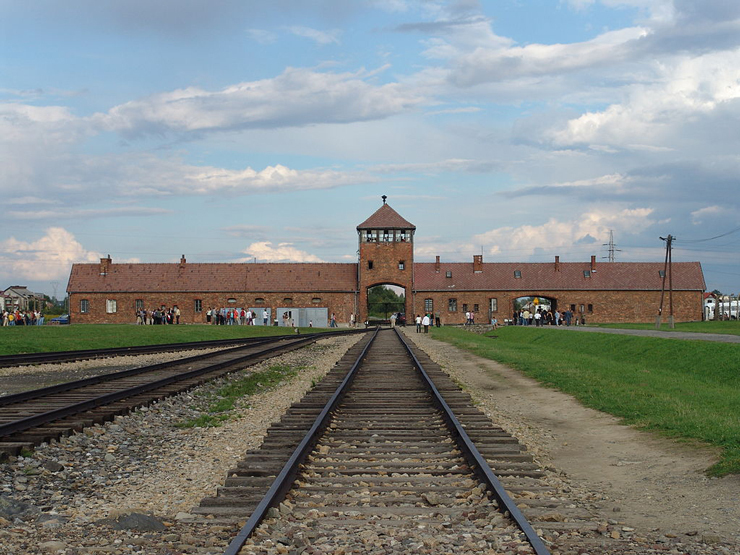 The Holocaust is something that should never been forgotten and any study of the Third Reich should be aware of it and see the Nazi regime in the context of the events of the Holocaust. Many people on both sides of the political spectrum praised Hitler in the 1930s; they saw a nation risen from the ashes with full employment, modern roads and airports. But they did not question how it was possible; now we can and should do that. As has been said in many a book, the Nazis were a warning in history. Sadly we do not always listen to such warnings and there was another holocaust in Europe during the Bosnian wars in the 1990s. One thing that never fails to amaze me is the continuing number of Holocaust deniers; on Twitter recently we saw Al Murray take some of these people on; their comments and beliefs are quite staggering in a modern age of freedom of information but a reminder we must be vigilant and ensure that the truth, the scale of the Holocaust, is not forgotten. What reminders of this dark chapter in history still remain in and just outside of Berlin? And how does the city remember and pay its respects to the victims and persecuted? Berlin is a perfect place to look at the story and horror of the Holocaust. The Wannsee Conference centre where the ‘final solution’ was discussed can be seen and not far away is Gleis 17, the platform area in a quiet suburban Berlin S Bahn station where thousands were deported to death camps. Further out at Sachsenhausen is one of the early Concentration Camps, always a sobering visit, and there are many smaller memorials and of course the Holocaust Memorial site in central Berlin. I have to confess that this is not one of my favorite sites; I’m not sure the design of it really tells us anything, but it is important and right that such a memorial is right in the center of what was once Hitler’s capital. 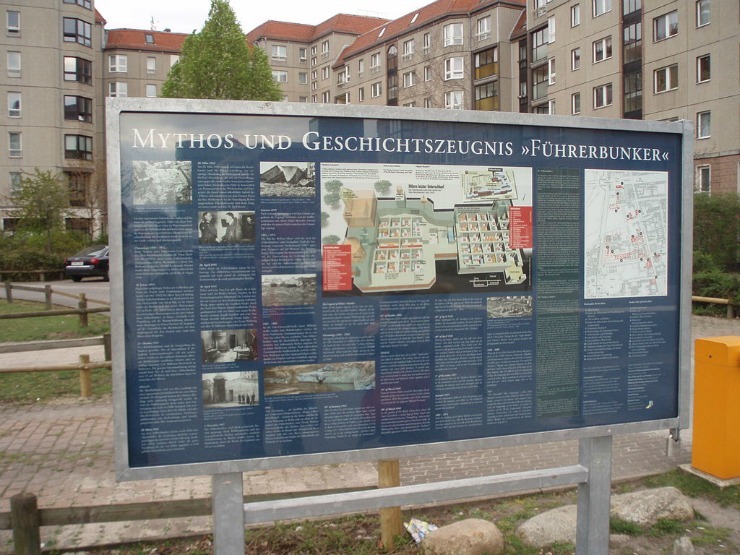 Since we last visited the city back in 2010, information panels have been erected throughout the former central Government District providing historical context and marking the position of various former Third Reich buildings. 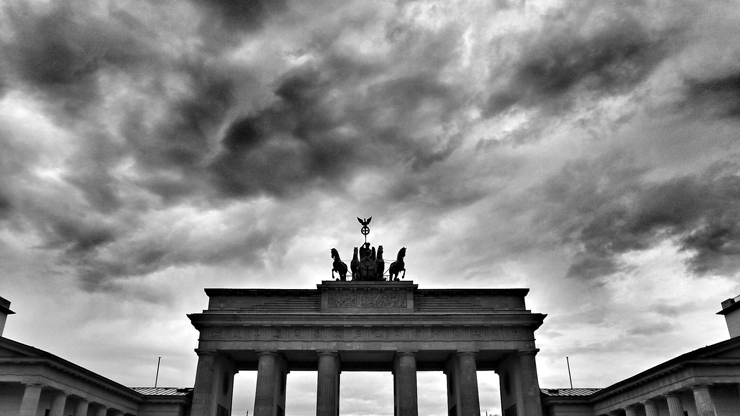 Is there a changing attitude to the manner of remembrance to this period of history in Berlin? Is this something you have noticed down the years? Back in the Cold War much of this was on the wrong side of the Wall or close to the Death Strip, so of course then there was nothing. But post-1989 when I first visited the Hitler bunker site for example it was clear the city authorities did not known how to view this ‘Dark Tourism’. They did not want to encourage people to visit former Nazi sites, fearing the worst. But they have learned that it is better to educate people and the reasons people want to visit these sites is not for any sort of ‘worship’ but all part of their own understanding of the Nazi period. People visit historical locations to have a sense of place, and that is very important. Information panels help in their understanding and seeing them now all over key sites in Berlin is encouraging. In some respects maybe, but one of the charms of Berlin is that it is an ever evolving city. It has been throughout its history, and I’ve certainly seen that myself over nearly 30 years. Significant memorials have disappeared for political reasons for example; Hitler’s love of Frederick The Great confined Old Fritz’s statue to storage but then it reappeared in a time when Germany was looking for a new identity and Fritz was seen in the way he should be; as a contradiction, as a complex man, but equally arguably one of the greatest Germans who ever lived, and a man and monarch whom Hitler never understood, not the architect of Nazism as many viewed him. So today Frederick The Great looks once more down the Unter den Linden in the same way he did a century ago. 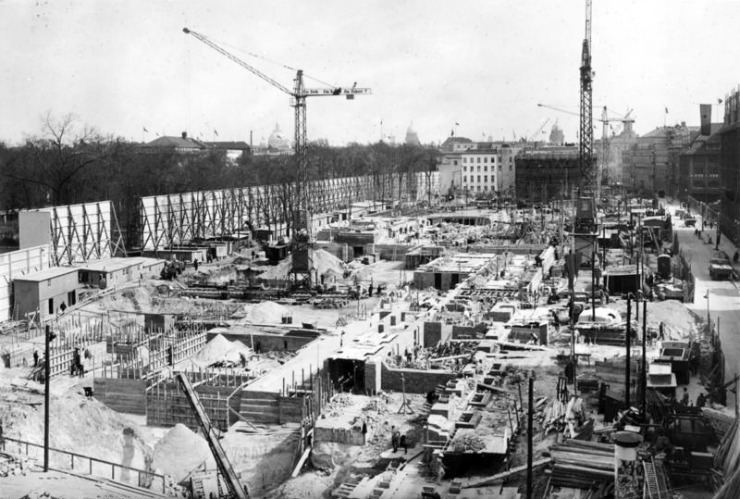 It’s hard to imagine today the sheer scale of the ‘new’ Reich Chancellery, but what would it have been like, how much did it cost and how long did it take to build? And what happened to it at the end of the war? It was a vast complex. The Nazis never did anything on a small scale but today it is hard to believe that such a building stood on that site. Designed by Albert Speer, Hitler had commissioned the building in January 1938 and it was complete within a year with over 4,000 workers detailed to build it. 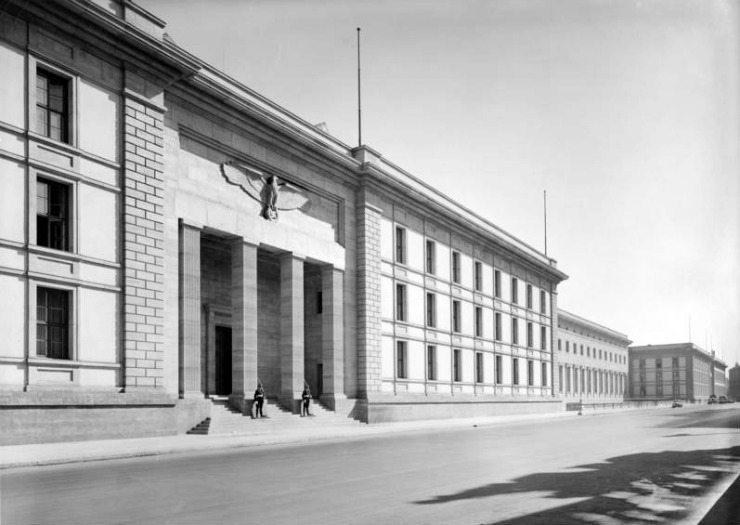 The cost was over 90,000 Reichmarks; I stagger to think what that would be in modern currency but the creation was a typical Third Reich building, with heavy Romanesque influences and huge rooms and corridors; the main one was nearly 500 feet long for example. 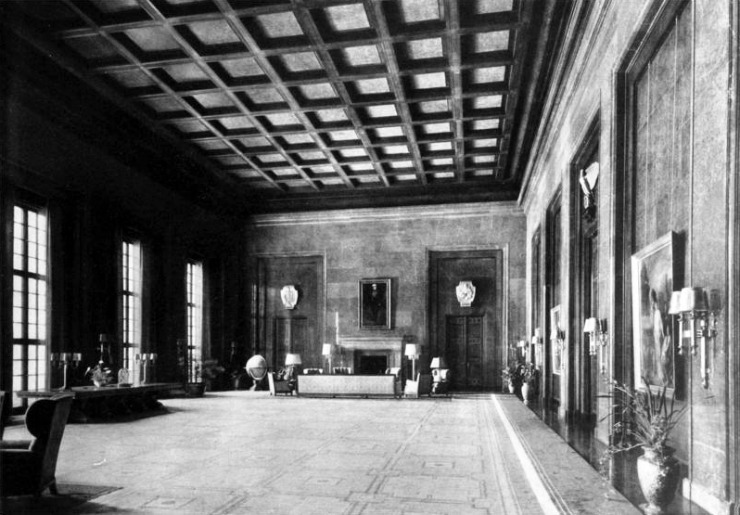 Hitler wanted, and needed, to lead his regime from a building like this: all totalitarian states need a seat of power that is impressive and oppressive at the same time, and this could certainly be described in those terms. 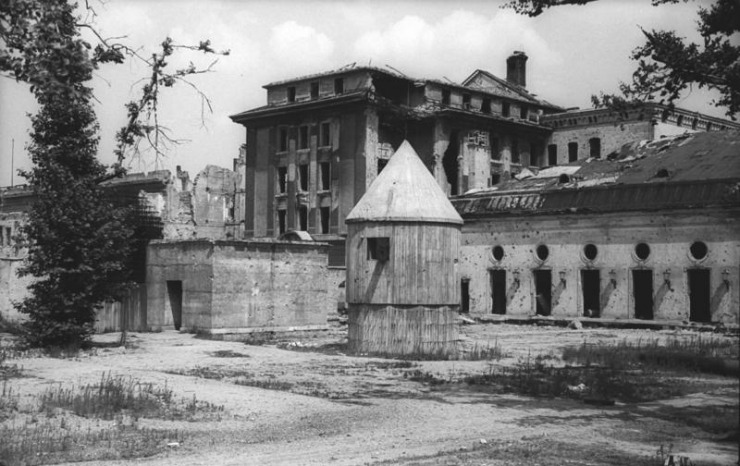 In the Battle of Berlin it was badly damaged and being the heart of the Third Reich was a key objective for the Soviets, perhaps more than the Reichstag. Inside the Russian zone post-war it was torn down and the stone to build Soviet War memorials and cemeteries in the city like Treptower, and also in U Bahn stations although I read some recent research which seemed to cast doubts on that. Some of the red marble was certainly taken back to Moscow. The areas around the Reichstag, Brandenburg Gate and WilhelmstraBe were the former heart of the Third Reich’s governmental organisation, housing many of the key NSDAP ministries and leaders. What happened to this area in the aftermath of the war and how many of these original buildings still exist? There was so much damage in this area that many buildings were torn down. Some deliberately, but others were beyond saving or what they represented was not acceptable to the post-war regime. 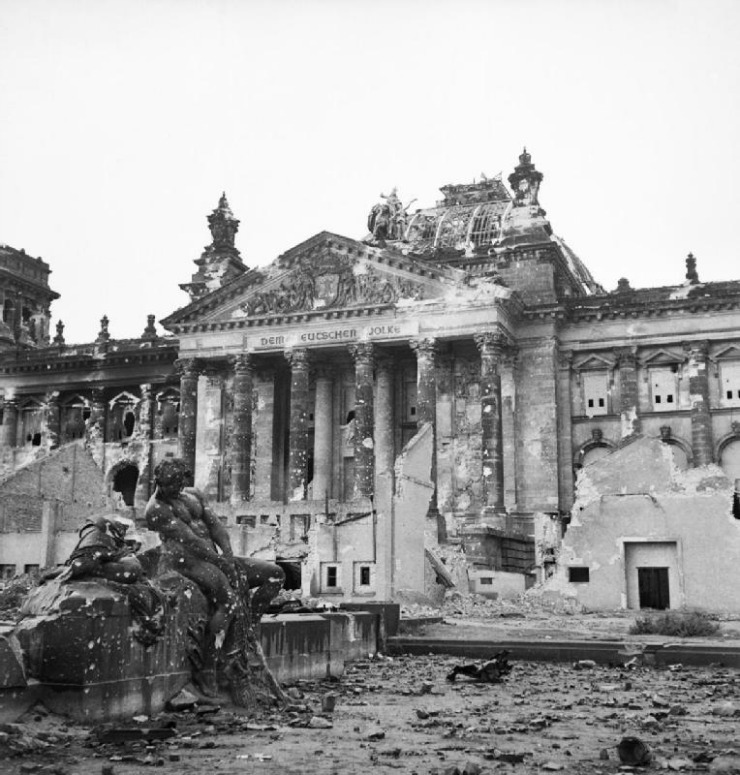 When you see the state of the Reichstag and Brandenburg Gate in 1945 it is amazing they survived, given that they then sat there frozen in time in or close to the Death Strip during the Cold War. I remember seeing them in the 80s; iconic symbols of the war, abandoned like broken toys. I never thought I would see them again to be honest but the transformation of Berlin since 1989 is remarkable when you just consider these two buildings. I always, always go to the Brandenburg Gate on every trip I make to Berlin. To me it’s the symbol of everything that is great about Berlin and equally everything that is bad and terrible; the city’s and indeed Europe’s history flows like a river beneath it. It has witnessed so much that has defined us, and continues to define us, as Europeans. There are numerous photos of the Hitler and Speer examining miniature scale-models of ‘Germania’ (the monolithic plans for the redesign of the capital). Did any of these original models survive the looting in the aftermath of the fall of Berlin? Yes, there are such models in the superb German Historical Museum in Berlin, and others may survive. Again the sheer scale of these plans are mind boggling, and it would have created a very different Berlin to the one we know now if they had ever been fully implemented. These models reflects the ambition Germany had for itself in the 1930s, but just as much they show the madness of the Nazi mind believing that such a thing was possible: because behind it was going to be suffering for many people on a scale as grand as the buildings. 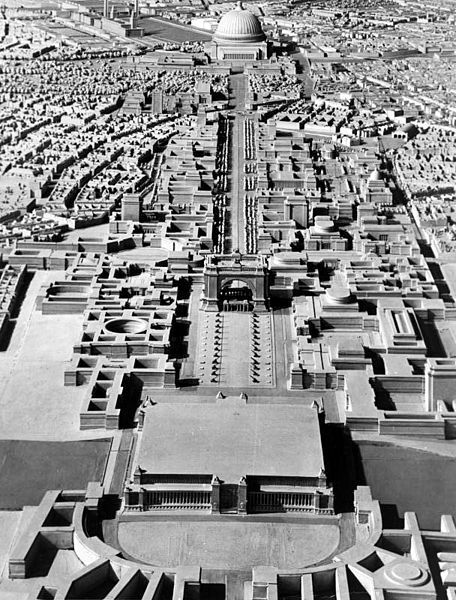 Germania was ambitious and colossal in its scale, and as we have seen speaking to Roger Moorhouse recently, it was not just a theoretical idea; work did actually start on this redevelopment. But how much of this overhaul of Berlin is visible today? Very, very little because as Roger Moorhouse has told you it was more plans than reality. There is an underground roadway I know of and architectural structures used to test the suitability of Berlin soil to hold the size of the projected buildings but today the only instantly recognisable aspect of ‘Germania’ actually realised was the moving of the Victory Column, the Siegessäule, from in front of the Reichstag to where it now sits in the main intersection of the Tiergarten. This was completed in 1939 and I suspect many people who go to Berlin think it is where it has always been. The district of Spandau in Berlin became synonymous with many German machine guns during the First and Second World Wars. Was there a strong armament presence in this area during the Third Reich and what happened to these factories during and after the war? Are there any reminders of this manufacturing history in this area? 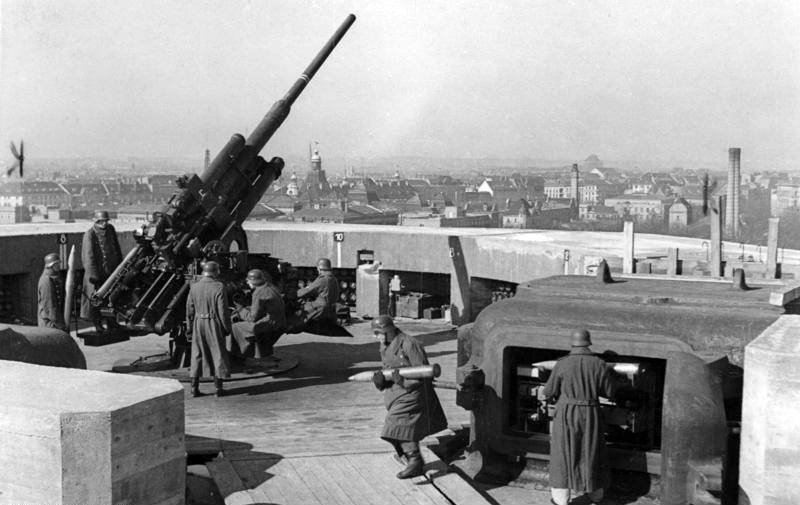 Spandau is a name synonymous with Germany weaponry but few people realise it was a district of Berlin where the armament factories were located. These did not just produce the famous machine-guns, but many different types of weaponry. Little remains of this as the area was heavily bombed in WW2 and post-war the factories were not needed. 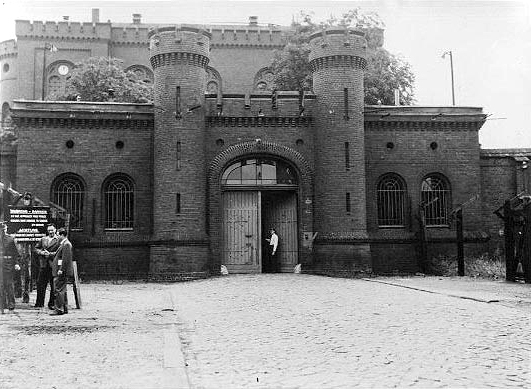 I suspect the prison at Spandau where Hess was kept until his death is probably what most people try to trace on the ground today but that too was demolished with the fear it would become a neo-Nazi shrine. Berlin was one of Arthur Harris’ top targets during the Second World War with over 45,000 tonnes of bombs alone dropped by Bomber Command on the city. Owing to its sheer scale there surely must be instances like on the Great War battlefields where devices from this period are still discovered today within Berlin? Was there ever a major effort following the conflict to clear such lethal objects? With Berlin being the ever-evolving city I spoke of before, the discovery of WW2 period ordnance is something that happens regularly in the city, and indeed all over parts of Germany. A lot was uncovered as the city re-grew in the 1990s but aerial bombs still turn up; not just British but American too as they bombed the city heavily too. The German police and army deal with them so thankfully it has been a long time since anyone was injured. But go further out of Berlin where the fighting was in 1945, then the signs of battle are never that far away. During our recent trip, we visited the last remaining Flak Tower at Humboldthain. Six of these massive towers were commissioned by Hitler with only 3 actually ever being made. How long did these take to build, how many men would have been stationed here and operating these defences, and what happened to them at the end of the war? 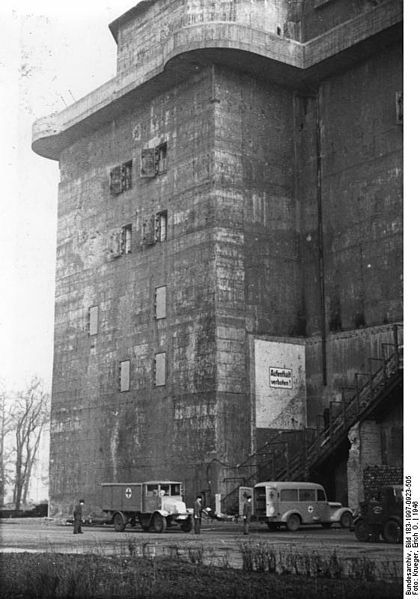 The Flaktowers were again massive structures and built from 1941 in response to the first British raids on Berlin the previous year. Hermann Göring had stated the British would never bomb Berlin but as the war progressed the Allies invested in bomber technology in the way Germany did and could not, meaning that Lancasters and B-17s could drop huge payloads on Nazi Germany. The Flak Towers were the ‘super-weapon’ to counteract this but like Germania they were over ambitious and took too long to build. While having a lot of fire-power and a garrison over 350 personnel, their use as air raid shelters for up to 15,000 people was more significant than the Allied planes they brought down. In the Battle for Berlin they became mini-bastions but the huge amount of artillery the Soviets could bring into play again made them potentially redundant in that they quickly became strong points and shelters which could be suppressed and surrounded. Two of the three Berlin Flak Towers were demolished with explosive charges post-WW2 and only the one you visited remains, and that is partially ruined. How important a role did Berlin’s subterranean underworld play during the period of the Third Reich and how many of these bunkers, former air-raid shelters and even armaments factories still remain today beneath the capital’s surface? Are these still accessible? The whole underground network of U Bahn and S Bahn tunnels, the sewers, walkways, underpasses, all eventually became part of Berlin’s wartime story. The air raid shelters were worked on continuously as the Allied bomber offensives mounted and when the battle for the city began in 1945 people went naturally underground to escape what was happening in the streets. There are air raid shelters to visit across Berlin, but most are closed off. However, a journey on the U Bahn takes you back to this part of the city’s history as it played the same role the London Underground did during the Blitz. The Berlin Underworld organisation are the best way to visit these underground sites as they have safe and legal access to them. Standing at the centre of so many periods of history, Berlin is a truly remarkable city with a unique and turbulent past, which is certainly well documented. 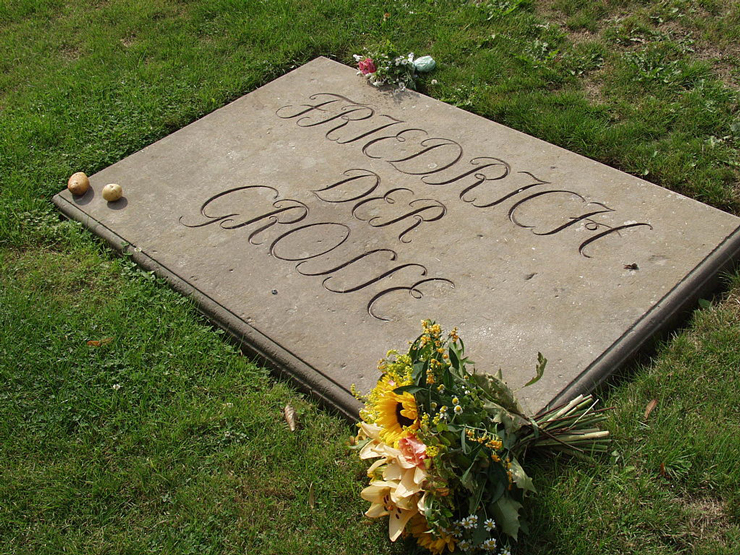 However before researching our trip to explore Hitler’s former capital, I was struck by how many stories from this period I had never heard of before such as Frederick the Great’s grave during the Fall of Berlin and Heydrich’s secret Gestapo brothel. Could you enlighten us on these and any other stories that are not as widely known even to this day? 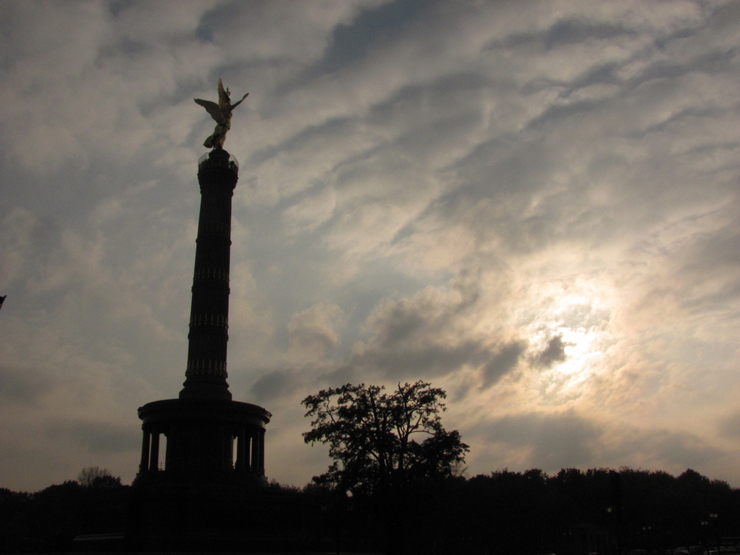 Yes there are many, many stories about Berlin, and people in Berlin be they kings or commoners. Frederick The Great, Old Fritz, as I mentioned before was a man whose life was a huge contradiction: Prussian King, battlefield commander and victor at Rossbach, but equally a man who believed in justice for ordinary people, played the flute to private audiences in his palace and sponsored the cutting edge of the Enlightenment through Voltaire. His wish was to be buried in a simple grave in the grounds of his palace at Potsdam but it took until Re-Unification in the 1990s for that to happen; in between he was buried in a garrison church and his remains removed at the end of WW2 ahead of the Soviet advance and hidden in a salt mine, and then for decades were buried in the Hohenzollern family castle. Now he rests with his beloved dogs in probably one of the most modest graves a monarch has anywhere. Uncovering stories like this are all part of what Berlin is about; every street, almost every house has a story. With the knowledge you have gained from having visited the German capital on so many occasions down the years, what would your five must see places be if you were visiting Berlin for the first time all over again and you wanted to learn more about this period of history? Start and end every visit at the Brandenburg Gate. It’s part of the soul of Berlin and remains a focus point for visitors in the way it has for many, many years. Loads of places near it to get a fantastic Berlin coffee and watch the world go by too. From here the Holocaust Memorial and Hitler’s bunker are a short walk away, which brings together two contrasting aspects of Germany’s history in WW2. Also close by is the Soviet Memorial and the Reichstag, so that is pretty much five locations in one small area. But go beyond that if you can: go and be moved to tears at Gleis 17, see where spies were swapped on the Glienicke Bridge, follow a section of the Berlin Wall at Bernauerstrasse and walk the Unter den Linden up to the new Schloss; I really cannot wait for that to be finished! On the way you’ll past the statue of Old Fritz. A few trips ago I did this and a demonstration was unfolding beneath him, calling for social reform. Germany in transit, Berlin changing, wanting change. Just as it ever was and ever will be, the most perfect of cities and at the heart of who we all are in so many ways. Visit Berlin; it will change you, if you let it. 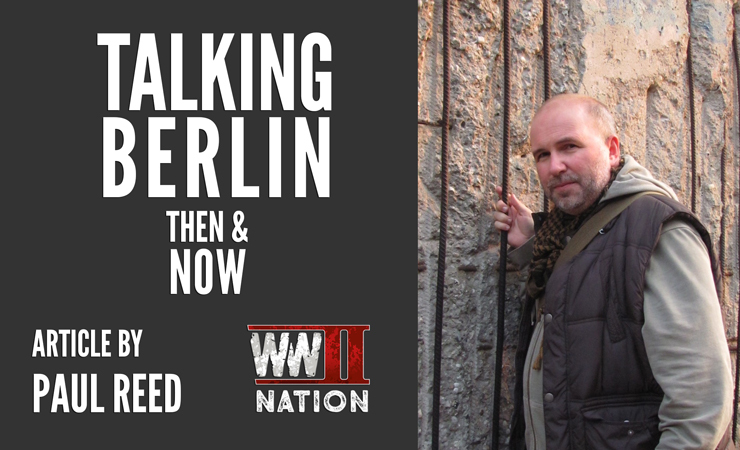 Thanks to Paul for speaking with us about Berlin then and now as well as the city’s rich history, including the New Reich Chancellery Flak Towers and Frederick the Great. You can find out more about Paul and also read more fascinating stories by him about his travels and exploration into the Second World War on his Website or by following him on Twitter. 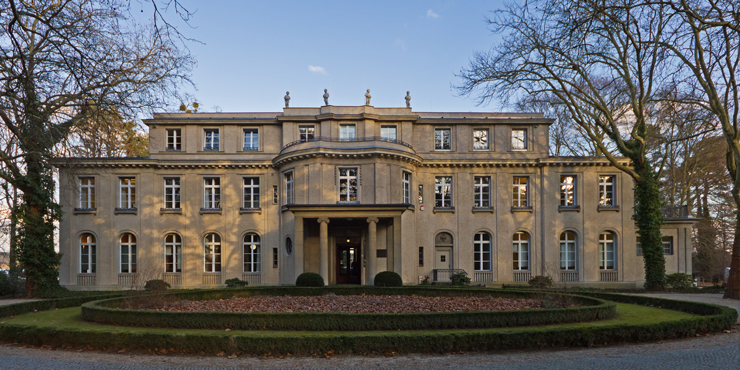 Click Here to Watch our second video from Germany’s capital, where we explore the former Reich Ministry of War, the Resistance Museum and Stauffenberg’s Office. Coming up on Friday on WW2 Nation, we will be giving you the chance to get your hands on a copy of the Berlin Past Finder Guide, the same one we used for our recent trip. This Month is brought to you in Partnership with our fantastic friends at Battlefield Design. Did you enjoy this post? If so, please support our mission by sharing it online with your friends and subscribe to our FREE Newsletter.